Whenever the temperature starts to drop, I like to find a moisturiser which is a litter richer than my usual choice. Usually I’ve turned to high-end brands, hoping that the quality of ingredients will soothe and nourish my skin. This year, since I’ve been pretty obsessed with Glossier, I thought I’d give their Priming Moisturizer Rich a go. 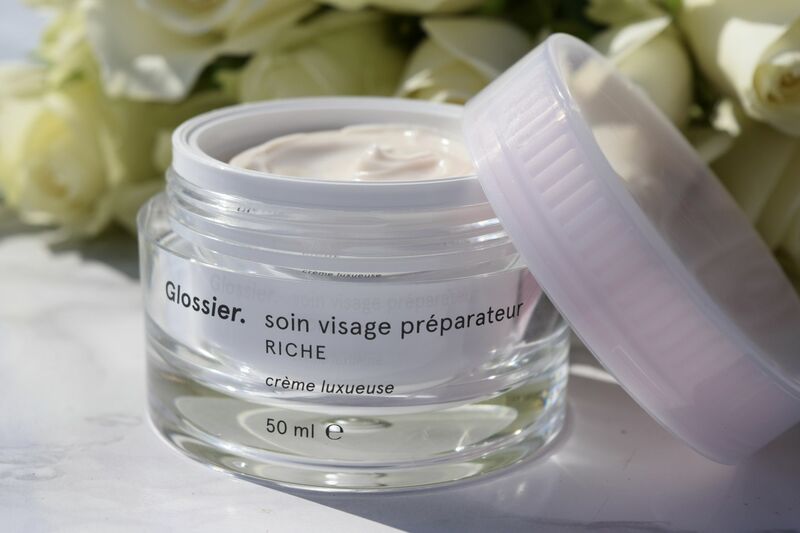 Described as a ‘luxurious face cream’, it’s probably Glossier’s richest product – designed specifically for dry skin. As you would expect from the brand, packaging is completely on-point. I love the sturdy plastic pot and pink lid – it just looks great on the shelf. More importantly of course, is what the cream is like inside. 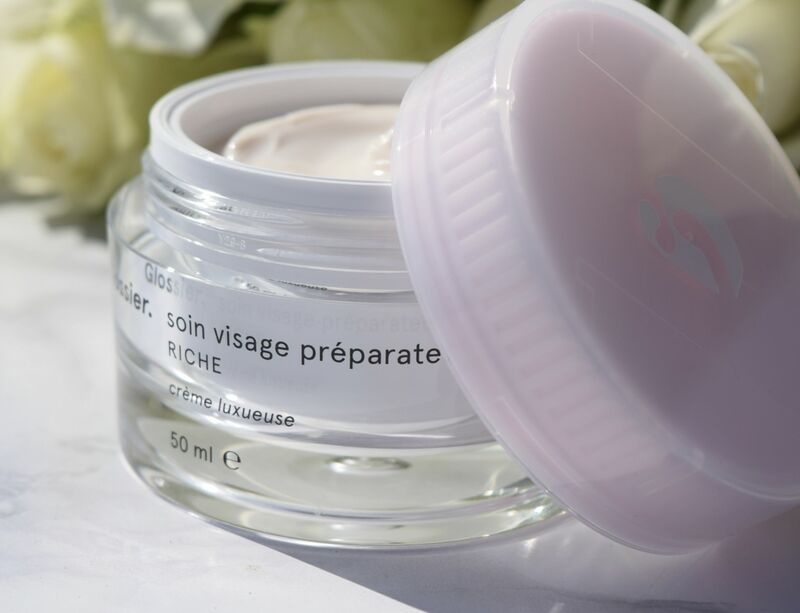 Thick, and cooling to apply, despite being quite a thick cream, the Priming Moisturizer Rich, sinks into skin quickly, leaving skin perfectly prepped for moisturiser. 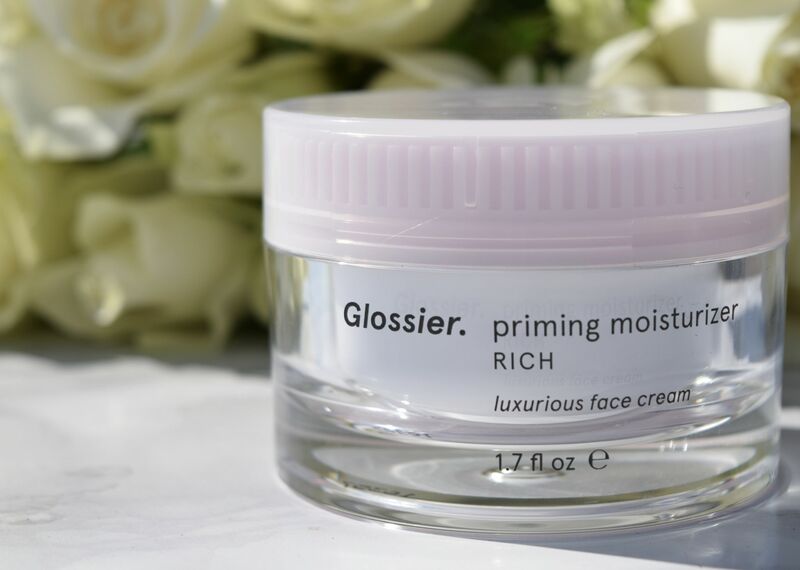 I am absolutely obsessed with the scent of the Priming Moisturizer Rich. It has a subtle lavender scent which feels beautifully calming to use, and an anti-redness complex which means I get to wear less makeup than normal! The formula includes Red Algae Complex to continually deliver moisture to skin, whilst Murumuru Butter melts into skin leaving it feeling perfectly hydrated. A little patted into clean skin in the morning is enough to prep my skin for makeup (I’m still absolutely loving the Glossier skin tint in place of foundation) and leaves skin feeling soft and hydrated until evening. It’s also lasted quite a few months, despite daily use. It’s so good, I’ve actually just ordered my second jar! 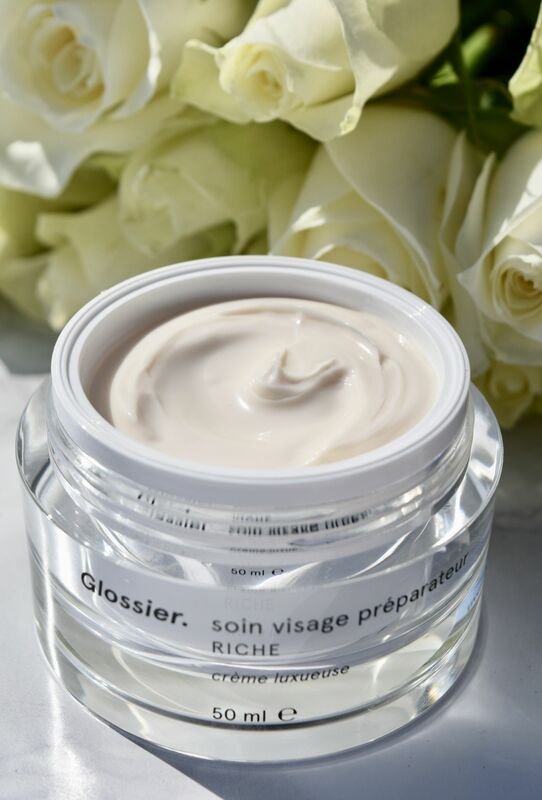 Glossier Priming Moisturizer Rich is priced at £29 and is available here.